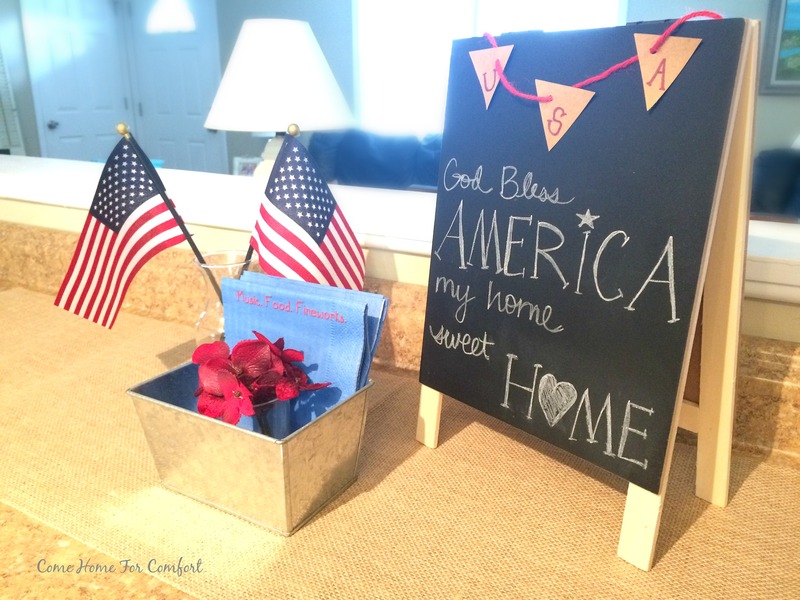 Today I’m joining Emily from Queen of the Household as we share a look at our patriotic decor for this summer! 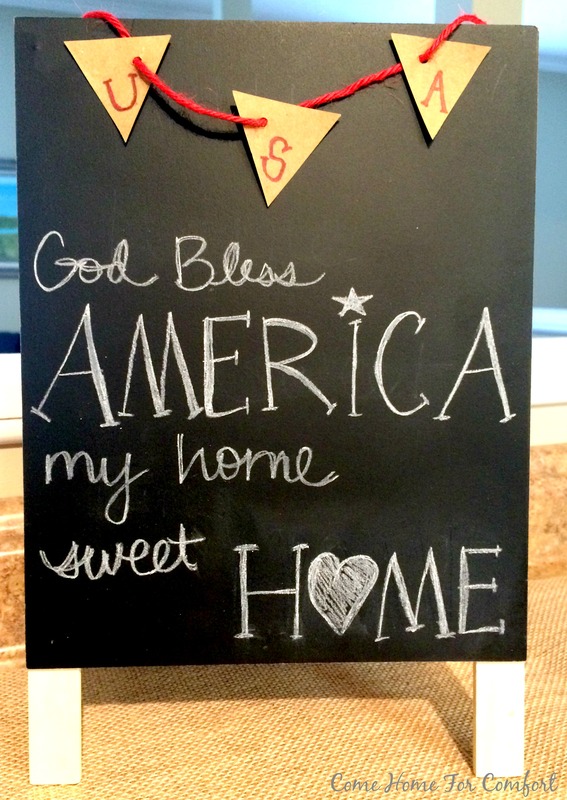 I am fiercely patriotic and always enjoy displaying my love of country throughout the decor in my home. Usually I leave my red, white and blue out from a few weeks before Memorial Day until at least a week after July 4th. However, I’m so excited to watch the Olympics this summer (right? anyone else excited for summer olympics?!) so I’ll probably bring it back out during August. USA! USA! It’s no secret that I love being home. For me, home is not just a house. 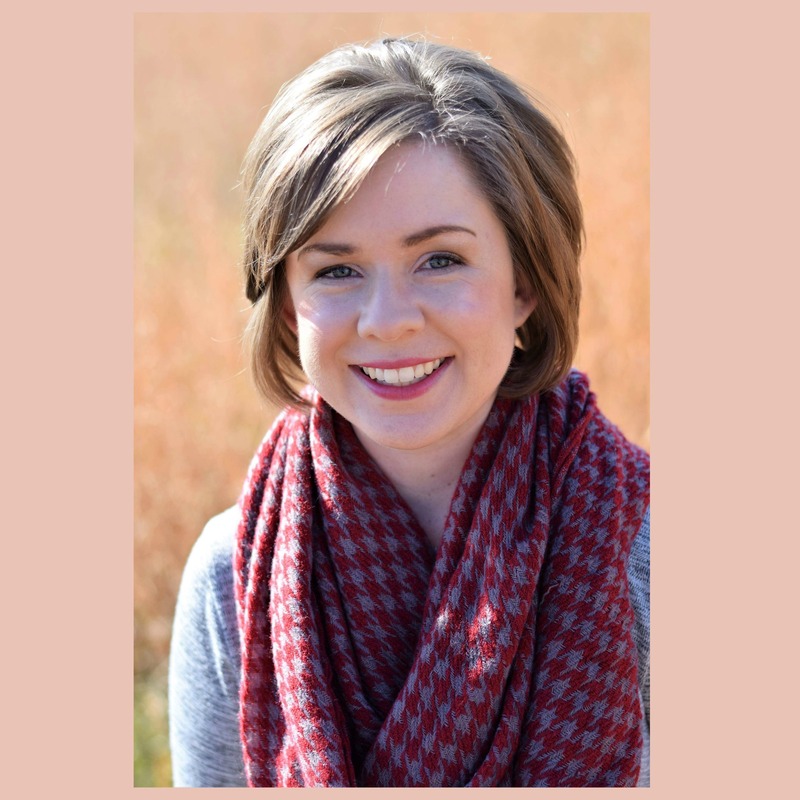 It’s a special haven where I can be comfortable and safe. Because of that, one of my favorite patriotic songs is “God Bless America.” I love the last line and always have tears in my eyes when it is sung. America is not just the land of the free and the home of the brave. America is my home. This is where I am comfortable and safe. It makes me very sad to see the direction that so many of my generation want to take our country – my home. I do my part to continue the land that I love by voting, praying that God will have mercy on us, and by creating a sweet home for my family. 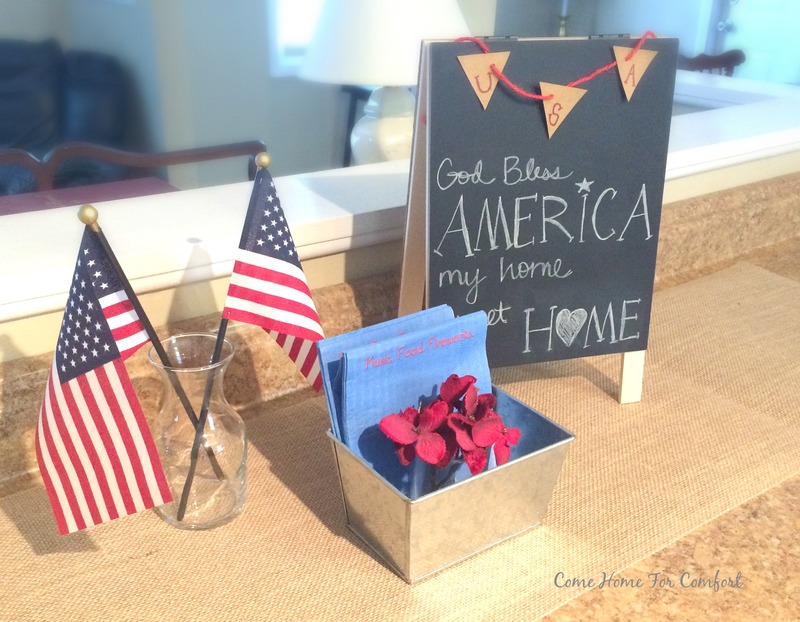 Head on over to Emily’s blog to see her spin on patriotic decor! 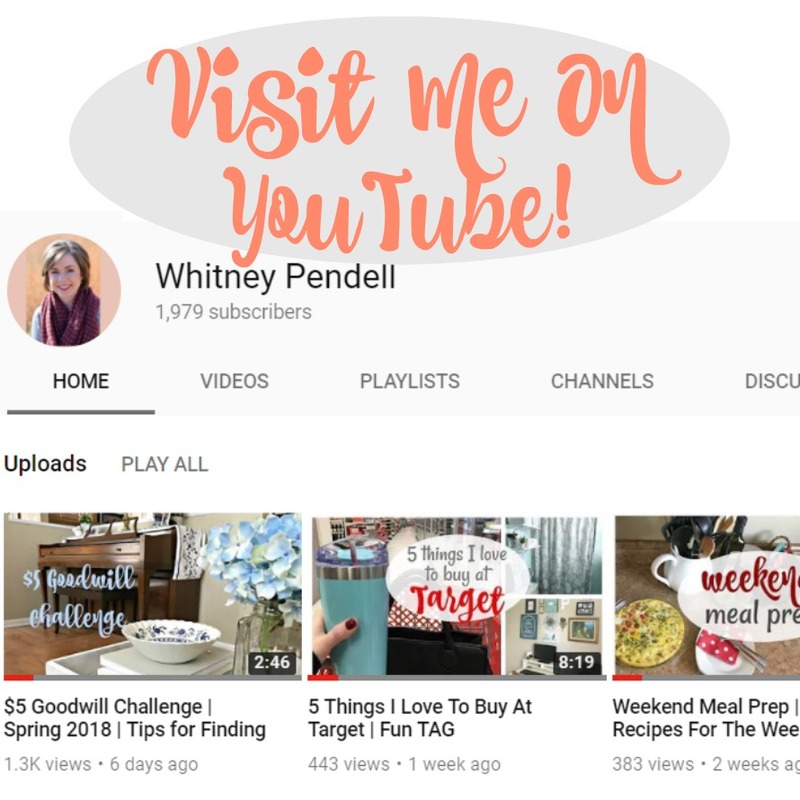 She’s so creative and can put together really cute projects on a budget. I know it will inspire you! Very nice decor! I am also excited for the Olympics! I am always so impressed with the talent, determination and dedication of the athletes! I love your patriotic decor and I love your idea of keeping it up through the Olympics!! Maybe I’ll pull mine out after we move to enjoy it for a few weeks. I never really know how to decorate for August so this could be the perfect answer. Great idea friend!! Love this time of year, especially for the red, white and blue! I’ve been a little slow to get out the patriotic decor, as it was rainy and icky most of May and wasn’t summery. Was planning to decorate this week, and then I had a darn migraine for 3 days! Next week it’s full steam ahead, as my family has a get-together on the 3rd (when our town has a fireworks display). I love your chalkboard…so darling! Yes, totally will be watching the Olympics! And I will have some patriotic decor up then, as well. I bought some official Olympic Team glasses a few years back and enjoy dragging them out for the current games. The U.S.A. is such a great nation, and we all need to keep the spirit and history alive. I’m so sorry you have been sick with a migraine! I know first hand how debilitating those are! A cure for migraines would be awesome! This is soo adorable! I love that chalkboard. And you nailed my sentiments about America exactly! Super cute! I love the chalkboard easel! Thanks! I think I’ll get a lot of use out of it! Just curious about where you store all your seasonal items. Mine are in the attic over the garage, and it makes to difficult to get to. Any ideas or tips to make it more convenient ?